I watched a few TED talks today about kids. One of them I posted yesterday if you haven’t had a chance to watch it yet. This young woman was in college she met someone from the inner city of Philadelphia and she asked him if she could do a paper on him and he agreed. That paper became a dissertation and ultimately a book. 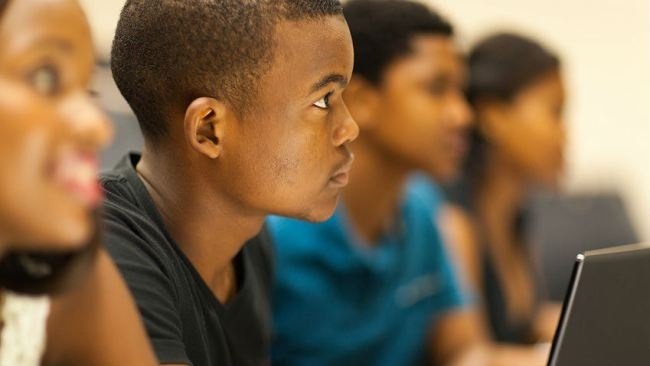 At a time when many white students are preparing for their life by going to college, many black youth are preparing each other be learning how to evade the police, because they know it’s just a matter of time before they become a target. Kids playact what they see. A game of tag becomes instead pretending to be a cop and a criminal and learn how to arrest each other and pretend to cuff their playmates and pretend to do cavity searches. This is real life to them. What makes it even harder for black youth is the way schools punishment them, starting with the attitude of many teachers. An after school fight for two white boys more than likely end end with their parents being called. If you are black, more than likely the police will be called and they get their first taste of jail and end up with fines they can’t pay. If they can’t pay they are arrested again for that. It begins a spiral down that becomes an inability to finish a high school education. Forget college. The spiral only continues in one direction. The school to prison pipeline is set. This is what happened to Jamie’s life, and there was no one who could help him or his mother change the outcome. By the time he was in his mid teens with his high school years just beginning, the court system was doing it’s best to end his possibilities. He is still trying to get his GED. He would love to have an education. At age 32 now with more time to go and still having no education, what are his chances? It takes more than wishful thinking. Because there is no one else willing to do the legwork, I have been research to find out what his options are. There is a school for inmates in Dallas called the Windham School. http://www.windhamschooldistrict.org/ Educating inmates lowers the recidivism rate back to prison. Getting a GED, learn a trade or take college classes. I don’t know yet what it will take to get him involved or when it can begin, but it worth finding out. I can only think that something like this would help him with parole. This isn’t automatically offered to inmates. You need someone on the outside who takes the time to find out about it. 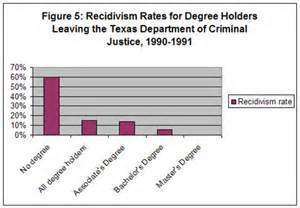 There needs to be more stress on inmate education if you want to slow down the revolving door for those who want to get off the ride. I recently found the article below. It explains how difficult it becomes for black students when they get labeled as a troublemaker by their teachers. If a child has a mental deficiency such as autism, parents get upset if their children are labeled. They want their children to have the greatest chance of success. But racism in early education by teachers makes getting an education much more difficult for black students, especially in the inner cities where it can be made worse by extreme poverty. Discriminating against children because of the color of their skin, not taking into account how smart or artistic the child might be, how many of these children get labeled a troublemaker when a white child wouldn’t be – for doing the same thing? Yes, white children can be labeled a troublemaker, but they would have to do much more to earn that label. Below is the link to the original article. I know. You are right. When a child is being taught by parents and teachers they are going to pick up the “truth” that belongs to that adult. it almost feels like a no-win situation yet we have to keep trying. I hope I’m alive to see it. A time of no racism. A time of no slavery in the world. A time when one religion doesn’t try to make it law and make other people have to obey it. A time when people choose to do the right thing based on critical thinking instead of what the media tells them how to think. I doubt Ill be alive to see that but one can hope.